Eco Terra manufactures their competitively priced hybrid in Los Angeles Ca. They market themselves as a healthier, more organic option. Like most companies vying for this demographic, they tout free delivery and easy no hassle returns. This suddenly crowded market segment has some stiff competition. Companies like My Green Mattress, Avocado and Happsy, offer similar beds. We’ll take a look and see how Eco Terra measures up. 16 Gauge Pocketed Coils are designed to limit motion transfer and partner disturbance. It’s a definite plus for couples! By design, these coils conform and support while providing proper body alignment. 15 Gauge Quantum Coils surround your mattress and offer additional edge support and comfort.Without solid edge construction, many sleepers avoid the last few inches of either side of their bed. 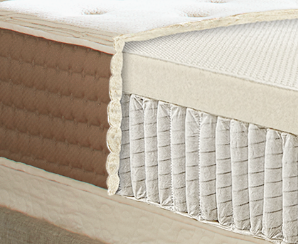 Edge to edge Quantum perimeter coils help give you a larger sleep surface. 100% Natural Latex: (2 ½”) offers superior buoyancy and pressure relief. Unlike Memory foam, Natural Latex retains far less heat. When combined with individually wrapped coils, additional airflow keeps this bed sleeping cool and dry. Stretch Organic Cotton cover: This stretched non woven fabric is breathable and sleeps cool. The knitted material allows coils and latex to move freely. This allows for coils and foam to better conform to your body. Flame retardant: No harsh chemical flame barriers are used in production. Instead, plant based cellulose fibers and hydrated silica provides a safe effective solution. Medium: The medium is the best option for side sleepers seeking a bit more conformity for shoulders and hips. This mattress still may be on the firm side for those seeking an ultra plush mattress. 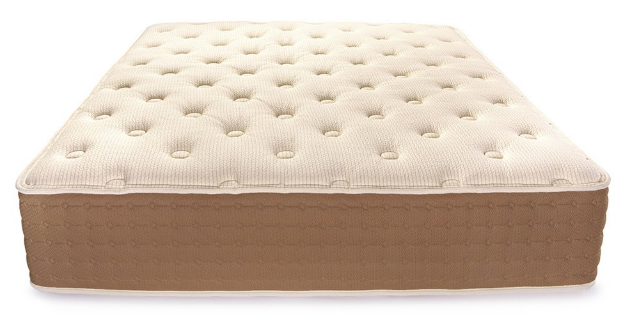 Medium Firm: This mattress is typically an ideal level of firmness for most back and stomach sleepers. Soft enough to lessen pressure points but firm enough to maintain proper alignment. Free delivery (within 1 - 3 days) to your door in the United States. Eco Terra arrives rolled and packed for convenience. It easily fits through most entryways. Be sure to have an extra set of hands available on the day your bed arrives. A standard queen mattress is 100 lbs. and no inside delivery is available. For easier setup do not unpack until you have transported the mattress to the room it will be slept on. Remove the bed from the box, place on the foundation or bed platform. Then unroll your mattress and enjoy! Eco Terra offers a full 15 Year Warranty. Just call their toll fee number for service. Eco Terra offers a full 90 day Comfort Guarantee. If you do not love your mattress, return it free of charge for full refund! Eco Terra offers free deliveries and free pick up if you are not fully satisfied! Eco Terra joins a rapidly expanding contingent of mattress companies offering a healthier way to sleep. Natural latex and organic cotton create a safe non toxic environment. Individually pocketed coils provide reduced motion transfer and great support. Natural Latex relieves pressure and sleeps cool. It also has no off gassing issues. Individually Pocketed coils reduce motion transfer. Couples feel their partners movements less which promotes more restful nights! Eco Terra is made with natural materials. 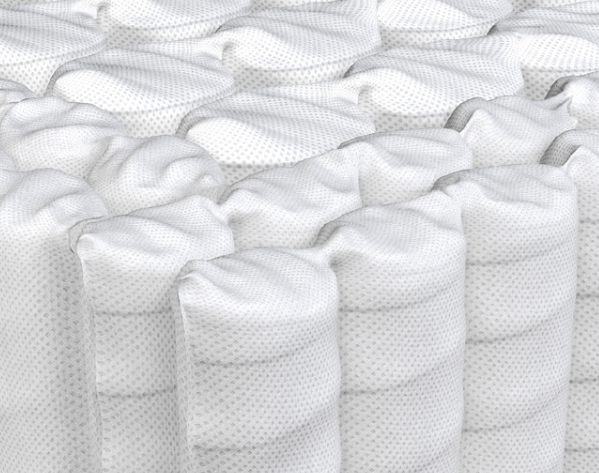 The mattress is ideal for those who suffer from allergies. In addition, overall benefits are even more far reaching. More natural, sustainable materials means reduction of our carbon footprint. Although a pop up window appears when you visit ecoterrabeds.com, quite often, there are no attendants available for immediate service. We did eventually receive a response and our questions were answered politely and in full. Chalk it up to growing pains for a new but ambitious company. No in home setup is offered. That's not unusual for onlinr purchases. Just note a standard queen ways 100 lbs. It may be dificult for some to move. Make sure you have an extra set of hands on delivery day. Is Eco Terra right for you? ​Based on product specification and customer reviews, Eco Terra appears to be a great buy! Our original concerns over their service response have been more than adequately satisfied. 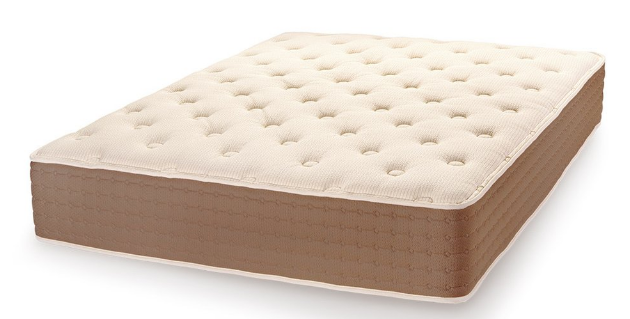 This Natural Latex and individual coil hybrid offers great support and comfort. 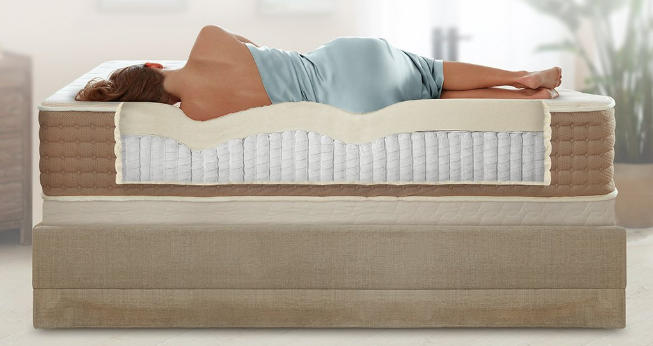 At a price of only $999 for a standard queen mattress, Eco Terra is an exceptional value! My husband got this for us for an early Christmas present. We needed a new mattress after having the same old one for almost ten years, so it was about time to get a new one. After long research and decision making, we decided to go with the Eco Terra. Quality, Comfort and Price...Thats Nice! This mattress is a great buy. I just updated my mattress of 10 years, and I couldn't have picked a better option. Moving it into my apartment was a breeze...the plastic didn't tear at all and it easily fit through doorways. This mattress is fantastic! It was delivered right to our doorstep with no problems. We had it set up within 5 minutes in our bedroom. Amazing bed! I sleep like a baby now. Shipping was fast and convenient and I have absolutely no complaints. I just recently ordered this bed and it is amazing! It was easy to order, got to my home quickly and was easy to setup! I am really happy and would highly recommend this bed! The eco Terra mattress is amazing and it was easy shipping and handling. This bed was tightly wrapped easy to move into my home. As soon as I started cutting it open I became so excited to lay down on it. I am so glad I made the change from my Serta bed.